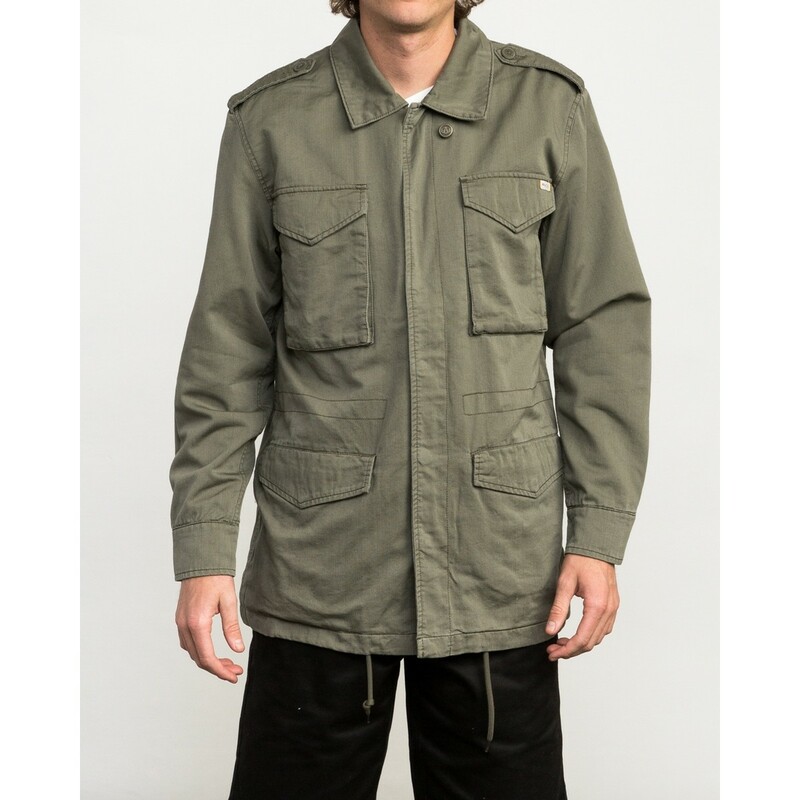 Function and utilitarian lines sit side-by-side in the RVCA Andrew Reynolds M65 Jacket. In collaboration with legendary skater Andrew Reynolds, the minimalist canvas jacket brings a durable feel to the core military jacket, adding a flannel lining and active-minded ergonomic sleeves. Adaptable and progressive while maintaining classic appeal, the mens RVCA jacket is finished with a well-worn wash.